It was your typical first weekend of December at the box office as the single wide release of the week, a horror flick from the director of San Andreas starring Aaron Eckhart called Incarnate, was only able to muster a $2.6 million opening on a $5 million budget. I'm not entirely sure if this one sat on the shelf for long before High Top Releasing decided to squeeze it into the December schedule, but it sure feels like one of those movies. The only other (semi) wide release of the week was the faith-based Believe in 639 theaters with a result of only $602,519. The major releases over Thanksgiving including Moana, Allied, and Fantastic Beasts continued to dominate the top five while Doctor Strange is still performing well with the biggest holdover news being that Arrival, a quiet and rather subtle adult drama just passed $100 million internationally. Not too shabby. The biggest news as far as new releases was concerned though certainly had to do with Jackie as the Pablo Larrain-directed, Natalie Portman-starrer debuted in five theaters over the weekend where it took in an estimated $275,000 or $55,000 per theater. We were able to secure an early screening of the film and thus the reason we are able to bring you a review of this Oscar hopeful that will appear to open on a very limited platform release over the course of the next month. There is something to be said about these awards-type films that open only in limited release throughout the month of December and how it depends on what critics groups one is a part of that determines what they are or are not able to see early no matter the local release date. I would love to have been able to see Manchester by the Sea (now playing in 156 theaters nationwide) closer to its initial November 18th release date, but will not be able to see it until tonight less than two weeks before it goes wide. The same could be said for Nocturnal Animals which also opened in limited release on November 18th, but which we in Arkansas won't see until this Friday when it opens in a single theater. 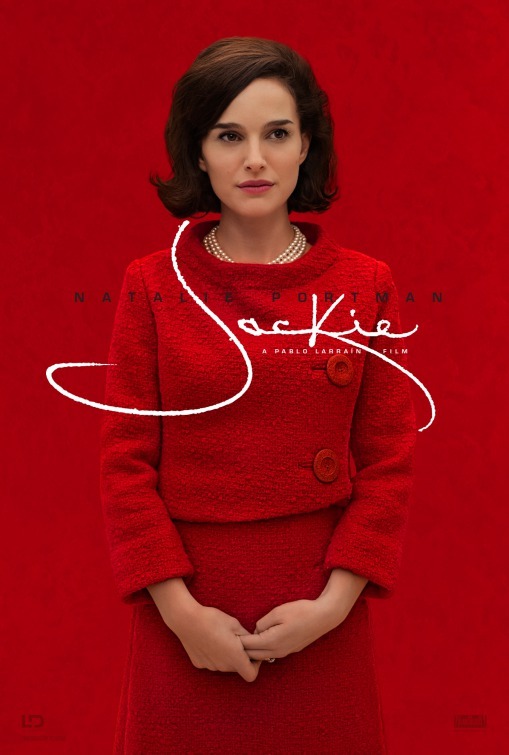 I guess I should simply count my lucky stars we were able to see and talk Jackie this weekend as it begins its theatrical roll out, so I hope you enjoy. As always, be sure to follow us on Instagram, Twitter, and subscribe to our YouTube channel as we have a new review (or reviews) up each week! Read my full Jackie review here.